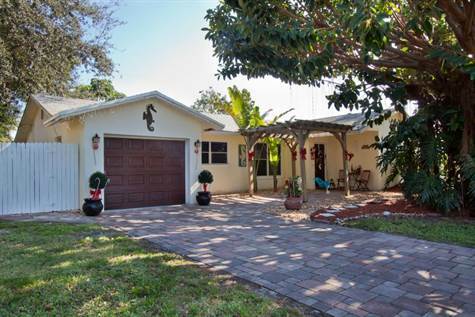 Pride of ownership shines in this remodeled home in East Delray Beach. This 4 bedroom / 2 bath home features granite counters and stainless steel appliances in the kitchen, updated bathrooms, wood floors and a newer roof. If you don’t need 4 bedrooms the additional room will make a perfect office, play or fitness area. With no HOA fees, this pet friendly neighborhood is a great family area and is only 1.5 miles to the beach, minutes to downtown Atlantic Ave, Boca Raton and close to I-95. Beautiful fenced in backyard is large enough for a pool. Don’t wait…. this property will not last.